This class meets the following THREE SATURDAYS: Apr. 6, May 4, June 1 (9 total hours) 11am - 2pm 1 Mill Valley Rd. (Suite B) in Hadley $110 PREREQUISITE: Zen of Improv of Improv 3 Full class description and details can be found at the event page at www.happiervalley.com: https://www.happiervalley.com/intro-to-musical-improv-with-jeff.html Important Details! *THE EMAIL AND CELLPHONE NUMBER YOU PROVIDE AT REGISTRATION WILL BE USED BY HVC TO CONTACT YOU FURTHER ABOUT THIS EVENT. *Please note that once you make your purchase, your place in the class is NON-REFUNDABLE unless we have 48 hours notice before the event AND we can get someone to fill your spot. *Students must be 18+ years. (In actual years, not maturity. ;) *Our classes involve physical activity, and we could be on our feet for at least an hour. If that's an issue, please let your instructor know how we can accommodate the class to fit your needs. Please email info@happiervalley.com with any questions about accommodations for ability. QUESTIONS ABOUT THE CLASS? Email info@happiervalley.com. -- NOTICE OF NONDISCRIMINATION POLICY AS TO STUDENTS The Happier Valley Comedy School admits students of any race, color, sexual orientation, gender identity or expression, religious affiliation, age, ability, national and ethnic origin to all the rights, privileges, programs, and activities generally accorded or made available to students at the school. It does not discriminate on the basis of race, color, sexual orientation, gender identity or expression, religious affiliation, age, ability, national and ethnic origin in administration of its educational policies, admissions policies, scholarship and loan programs, and other school-administered programs. This class meets EIGHT MONDAYS Apr. 15 - Jun. 10, 2019 5-6:30 pm HVC Theater (1 Mill Valley Rd in Hadley) $200 PREREQUISITE: None! This class is open to all humans over 18 years old! Full class description and details can be found at the event page at www.happiervalley.com, which you can find via https://www.happiervalley.com/register.html Important Details! *THE EMAIL AND CELLPHONE NUMBER YOU PROVIDE AT REGISTRATION WILL BE USED BY HVC TO CONTACT YOU FURTHER ABOUT THIS EVENT. *Please note that once you make your purchase, your place in the class is NON-REFUNDABLE unless we have 48 hours notice before the event AND we can get someone to fill your spot. *Students must be 18+ years. (In actual years, not maturity. ;) *Our classes involve physical activity, and we could be on our feet for at least an hour. If that's an issue, please let your instructor know how we can accommodate the class to fit your needs. Please email info@happiervalley.com with any questions about accommodations for ability. QUESTIONS ABOUT THE CLASS? Email info@happiervalley.com. -- NOTICE OF NONDISCRIMINATION POLICY AS TO STUDENTS The Happier Valley Comedy School admits students of any race, color, sexual orientation, gender identity or expression, religious affiliation, age, ability, national and ethnic origin to all the rights, privileges, programs, and activities generally accorded or made available to students at the school. It does not discriminate on the basis of race, color, sexual orientation, gender identity or expression, religious affiliation, age, ability, national and ethnic origin in administration of its educational policies, admissions policies, scholarship and loan programs, and other school-administered programs. The Town of Hadley Massachusetts was founded in 1661 and is located in Hampshire County. 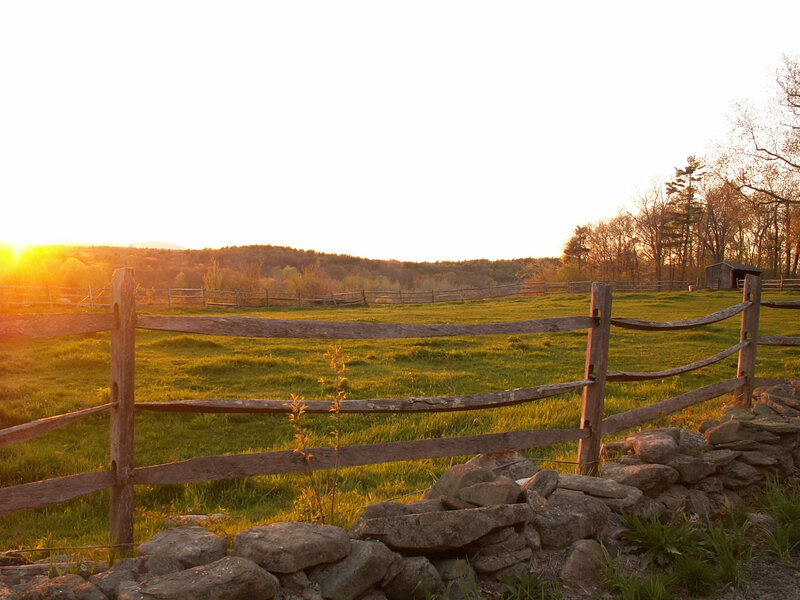 Hadley is one of the oldest settlements in Massachusetts with countless relics of the past including colonial homes and museums as well as old cemeteries for both a piece of history or for those who wish to trace back their roots. Those in town visiting should stop at the Hadley Farm Museum and the Porter Phelps-Hunting House Museum which was built in 1752 and hosts folk music concerts and story telling.